Want to know more about Muscle Labs USA Sports Supplements products? Or maybe you want to tell us how awesome Muscle Labs USA is! Check out our legal steroids to find the right Muscle Labs USA product for you. Call us on 800-441-1284 and we will assist you on a first come first serve basis. Our customer service team is available 24 hours a day, 7 days a week and will get back to you as soon as possible. How to contact us – 24 hour ordering. Questions? 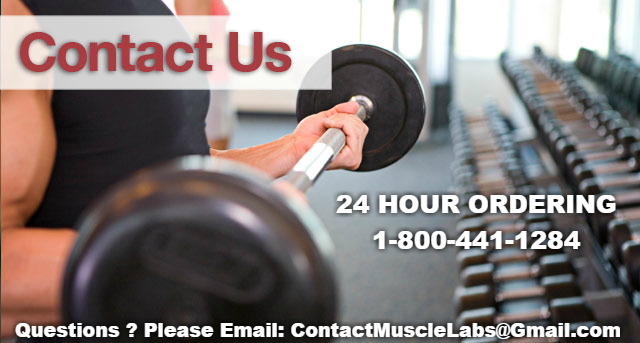 Feel free to email us, contactmusclelabs@gmail.com. Emails answered within a few hours. Also, feel free to call 800-441-1284 to order now. While we pride ourselves on top notch customer service. Because Muscle Labs USA Sports Supplements, rated top company 100% customer satisfaction guaranteed. Top Legal Steroid Alternatives for sale.